A research to measure offshore workers’ body size with 3D scanners to inform the future design of safety equipment, survival clothing and space requirements on offshore installations has been launched in Aberdeen by Robert Gordon University (RGU). 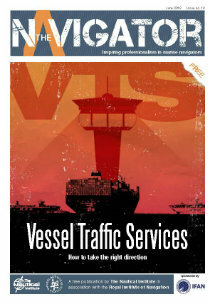 The research, which will generate an ongoing capability for measuring the size and shape of the offshore workforce, is the first of its kind in more than 25 years and is being led by researchers at Robert Gordon University’s Institute of Health and Welfare Research (IHWR) in collaboration with experts from Oil and Gas UK. The project’s aim is to design and implement a systematic assessment of three-dimensional measurements on a sample of around 600 offshore workers. The data will then be used to inform all aspects of offshore ergonomics and health and safety, from emergency helicopter evacuation and survival suit design to space availability in corridors and work environments. Project leaders Dr Arthur Stewart, Reader, and deputy director of RGU’s Centre for Obesity Research and Epidemiology (CORE), and Dr Graham Furnace, Medical Advisor for Oil & Gas UK conceived the project in 2011 and have built an experienced team to support the research. It includes senior figures from Oil and Gas UK – Robert Paterson, Health, Safety and Employment Issues Director and Bob Lauder, Health and Safety Policy Manager – as well as data modelling experts Professor Patrik Holt and Dr Eyad Elyan from RGU’s Institute for Innovation, Design and Sustainability Research (IDEAS). 1985 offshore workers averaged 76kg and fatter than peers. 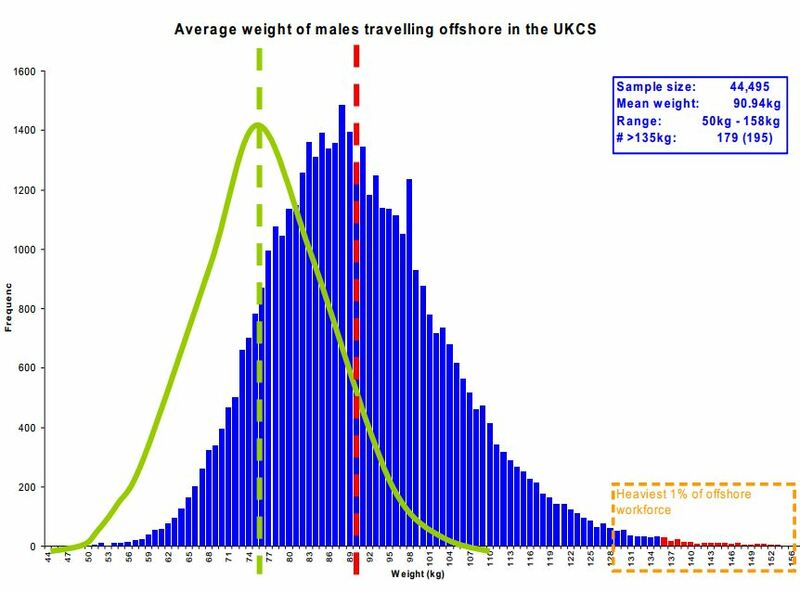 Today male offshore workforce is 19% heavier; and obesity rates in the UK have more than have trebled. Space requirements for working offshore are either based on outdated data or guesswork. Suit sizing limitations disproportionately affect smaller individuals. Although safety risks have been identified, no reliable size data exist to enable these to be minimised. To give an example on what kind of findings the research will be able to identify and thus help further in various safety related designs just consider a confined space of 65 cm wide, using geometric assumptions on body shape (and 6cm for clothing) it is known that in 1985 the probability of two randomly selected men NOT being able to pass one another without touching was 1 in 400. On present data the probability of two randomly-selected men passing without touching in a 65 cm space is reduced to about 1 in 4. This means that the corridor width required to provide the same clearance would need to be 21 cm wider. More than £150,000 in funding for the project was secured through a combination of a Technology Strategy Board Knowledge Transfer Partnership Grant as well as support from several Oil & Gas UK member companies. Aberdeen company Survival One (Survitek Group) has also donated a number of the very latest survival suits for use in the project. Initial research conducted by the team at RGU has shown that a 90kg man wearing a standard helicopter passenger survival suit increases body volume by 44 litres over that of close fitting clothing. 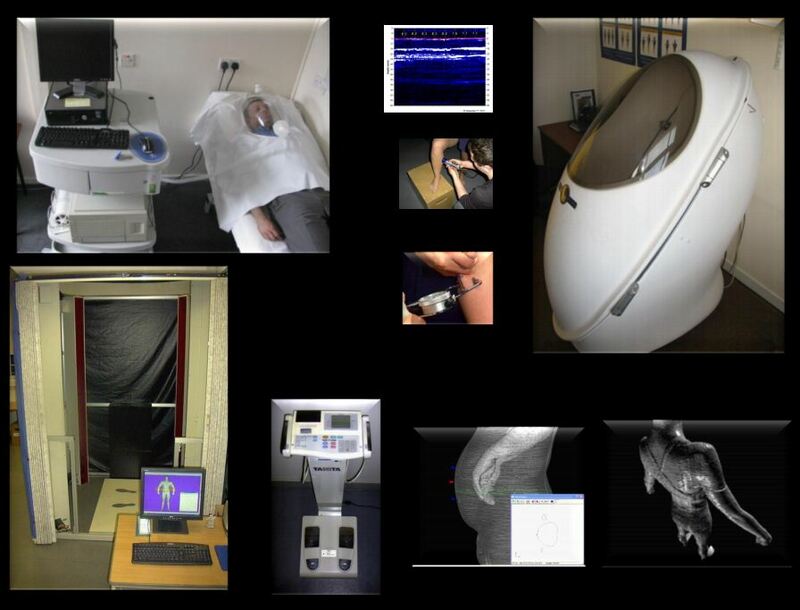 A taste of the equipment that is going to be used during the project in order to draw the appropriate anthropometric data is shown in the following picture. Robert Paterson, Health, Safety and Employment Issues Director, Oil and Gas UK, said that this research will provide the offshore industry and supply chain with an invaluable insight into how body shape, size and volume has increased over the last 25 years. The information gained will help to understand how these changes impact a range of safety issues and inform what may need to be done to address these.